Recently I got one of those marketing emails from Microsoft regarding Azure, I don’t know what was it that caught my eye but I decided to read it this time. Surprisingly I found out that MSDN Subscribers or Microsoft Partners (MPN) gets up to $100 monthly credit for usage within Windows Azure. At start I thought what those $100 could probably be useful for? Thinking it’s probably not even enough for creating more then 1-2 virtual machines. You could imagine how surprise i was to find out those $100 were more than enough, as it allowed me to build a complete lab environment made out of 7-8 machines, up in the Microsoft cloud. 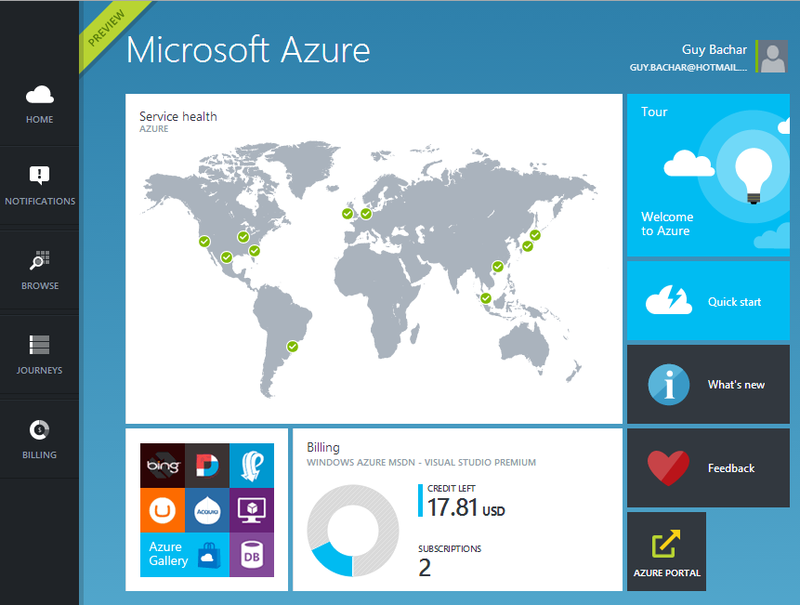 What does Windows Azure mean? The Windows Azure model is very similar to the Office 365 (Actually, Office 365 is based on Windows Azure as well), and you can choose from a variety of billing plans depends on your license model and needs. 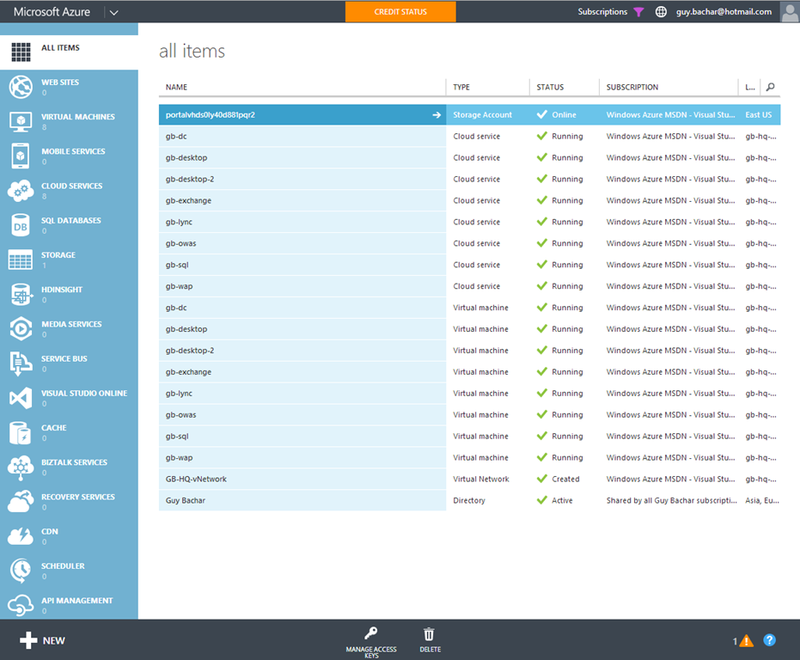 Managing the Windows Azure is done from the Azure Portal (Which by the way should change in the near future as it’s currently in the preview stage). The portal is pretty intuitive and it is very easy to operate and navigate. you can also add multiple users for access, set alerts and notifications for each and view your billing status. So what those $100 give you? The picture bellow also showing what are those within the $100 limit per resources available and how much more credit I got left. As for the actual billing, the easiest way to calculate the estimated monthly fee is by using the Microsoft Windows Azure Calculator. Another great option Microsoft providing is the ability to set spending limits when no more credit remain in the account in order to avoid any unplanned billing. The nicest thing about Windows Azure and the Virtual Machines solution, is that Microsoft allow you to get the latest and recent OS available on the market, so you can play with built-in Windows Server 2012 R2 Servers images and also you can choose deploying Servers which includes Application templates such as SQL, SharePoint etc. If you decide you want to build your servers on a dedicated network subnet, you need to create the network prior to the Virtual Machines creation, otherwise it cannot be assigned or allocate to existing virtual machine as the network assignment is done during the provisioning phase. A virtual network must be placed within an affinity group. Affinity Group – a way to tell Windows Azure to allocate all of your designed resources (Disks, Virtual Machines etc.) within the same logical and physical groups. If you plan to create a virtual network by using the Custom Create wizard in the Management Portal, you can create an affinity group within the wizard. You don’t need to create it beforehand. If you do select an affinity group that you already created, make sure that it’s associated with the region where you want your resources (VMs and PaaS instances) to be located. You can’t change the region associated with an affinity group after you create it. In my case, I wanted to create my own network for putting all of my virtual machines within one dedicated subnet so they can communicate with each other on the same network. Log on to the Management Portal. 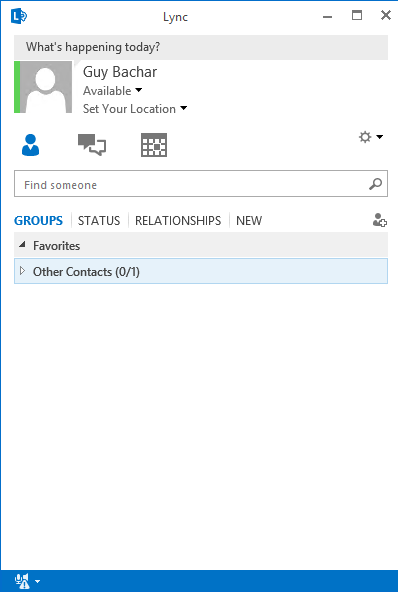 In the navigation pane on the left, click Settings, and then click Affinity Groups at the top of the page. On the Affinity Groups page, click Add at the bottom of the page. If you are creating the first affinity group for this subscription, you can click Add An Affinity Group. On the Specify affinity group details page, enter the following information, and then click the check mark. Name: Enter a name for this affinity group. Description: Enter a description for this affinity group. Region: Select the region where this affinity group is to be located. Click the checkmark. Once your affinity group has been created, you can view it on the Affinity Groups page in the Management Portal. A very good tip given by Paul Bloem is also to set the DNS servers for the virtual network, under the Virtual Network Configuration section. Setting the DNS server ensure that it will be given to the virtual machines in the network automatically via DHCP and will save you time setting it up manually after each reboot / shutdown. After the network subnets were configured, I could start deploying my virtual machines using the following guide. I’ve the Virtual Machines created, how do I get in? 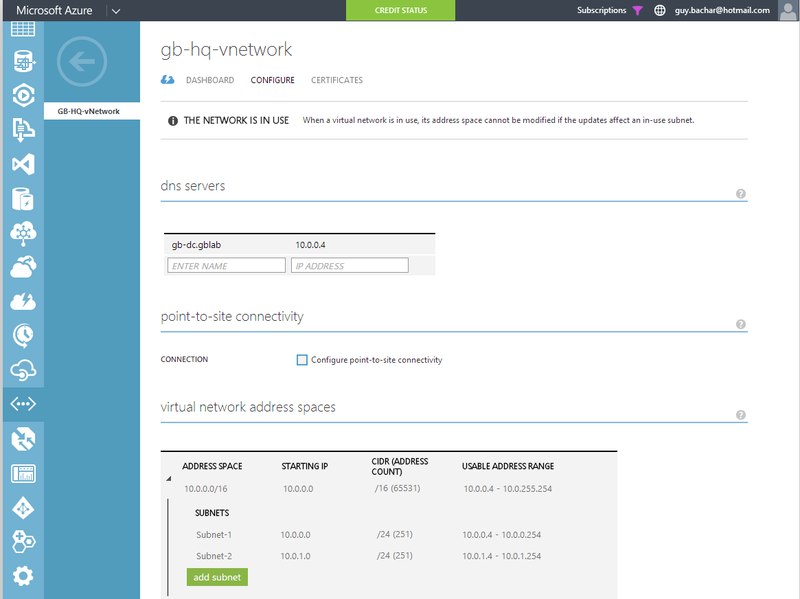 Under the Virtual Machines menu in the Portal, select the virtual machine you want to connect to and choose “Connect” from the footer menu, that will download an customize RDP file ready for use as it contains all necessary DNS names and Ports. Once connecting to the virtual machine in any of the above methods, you’ll need to provide with the login credentials entered during the initial provisioning phase. Following the procedures mentioned above, I quickly created a whole set of Virtual Machines. Starting building the lab, I quickly managed to install both the Domain Controller and the Exchange servers and test it out using the two desktops clients virtual machines. My problems began when I started Installing the Lync 2013 server, a task which I was well familiar with before and i didn’t think it would take me too much time to complete, mostly because it is a simple environment with only one Lync Front End deployed as a Standard version. Please note that Lync is not officially supported on Windows Azure as mentioned on Microsoft server software support for Windows Azure virtual machines, mostly because not all Lync servers can be deployed on Azure. At start, I wasn’t sure what is the actual reason as i saw the files being generate and copied to the CsData folder, I was trying to use the manual commands as well (Install-CsDatabase –LocalDatabases) but it fail every time i ran it. I then tried installing the Local SQL Express my own but I got similar time out errors every time. I then decided to do some more research on the problem, luckily I found the following article by Marc Terblanche which describe the exact same problem. Data disk drives do not cache writes by default. Data disk drives that are attached to a VM use write-through caching. 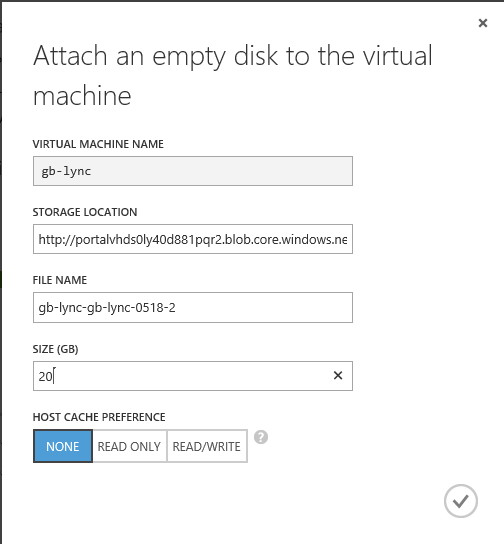 Write-through caching makes sure the write is committed to durable Azure storage before the transaction is complete from the perspective of the VM’s operating system. It provides durability, at the expense of slightly slower writes. where do you get the installation files from? they are also in azure? SQL and SharePoint for instance has a build-in template for Azure so you don’t need the installation files. But for Lync and Exchange i used the 180 trial Microsoft are offering. You can also download the installation files from your MSDN Subscription or Volume License site if you have any, as the computers has internet access. in Step 7. pointing the servers to your AD (DNS), this can be done on networks under DNS Servers. Probably best done this way or else the set DNS is dropped every time you reboot a server. That’s a great feedback, thank you Paul. I will edit the post and add that. Thanks so much for this guide! I sat down this weekend and created your setup very easily. Couple of questions / points I’d like to pick your brain on if you don’t mind. You’ve got the SQL Backend database, but then you stated that you set up a Standard Lync server. Was wondering why? Also, I ran into the same issue with the Host Cache on the disk when trying to install the database to the SQL server in an Enterprise deployment. What was interesting about it, was that all the databases, with the exception of the RTCBackend databases got created. What I did which was suggested on another site, was to create a large second disk, with the No Cache feature, and run the Install Database thru topology builder, and then it saw the largest disk, and automatically installed to there and that resolved my issue. Also, you have both a Web Apps server, and Web Proxy server listed. I figured out how to install the Web Apps, and get it working, but I’m not sure what you are using the Web Proxy for in this configuration? 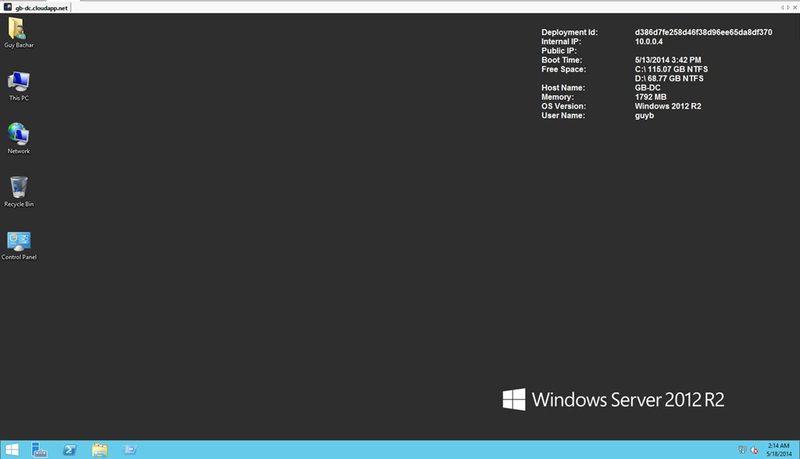 Also, is there any way to add an Edge server in Azure? From what I understand, there isn’t. Just figured I’d ask! Thanks again! Hi John, thanks for the feedback, i’m glad to hear it helped. I did initially tried to install an Enterprise Edition so that’s why i had the SQL server ready, but after having the issue with the CACHE i thought i might had something misconfigured so i decided to try and install the STD edition, to realize eventually it was the CACHE setting which was the issue. Creating another disk and set it with No Cache is what i did eventually on the STD server as well, but it should work exactly the same for the Enterprise SQL Server. The EDGE server is not supported according to my knowledge mainly best you can’t have a dedicated server with two different networks configured as DMZ / External networks. Oh, I had to install another disk for the local CS store database on the Enterprise Front end as well. I would have given up had I not found your article! Can’t wait to read about setting up the Web Proxy! It appears that as of Oct 2014 Azure VMs can have multiple NICs so would be curious if someone was able to also install an Edge Server on Azure which needs 2 NICs. How did you get all this inside $100? I make your servers A1 x 4, A2 x 3, A3 x 1 — A1 is $57 on its own! I’m not keeping the machines on all the time, just for setting them up for testing purposes and then i’m shutting them down again. I agree it’s far from idle, but at least it allow you to run some tests. I havn’t tested any Telephony Solution in my Azure lab as EDGE wasn’t available that time due to networking issues. Also, Microsoft are planning enabling Hybrid voice and also Cloud Voice solution in the next couple of months so that could be another available solution. thanks for the quick reply. do you think its possible? I’m planning to test that today. hope i won’t hit the wall. Well depends what exactly you are trying to achieve, you need to get some valid public IP and set bunch of FW rules, i’m not sure Microsoft allowing all that in Azure just yet.